The Gary Portelli-trained Time To Reign has ramped up Slipper preparations with a barrier trial win. Thrilled with the progress of his leading Golden Slipper contender Time To Reign, trainer Gary Portelli is looking to take another two youngsters to Randwick. 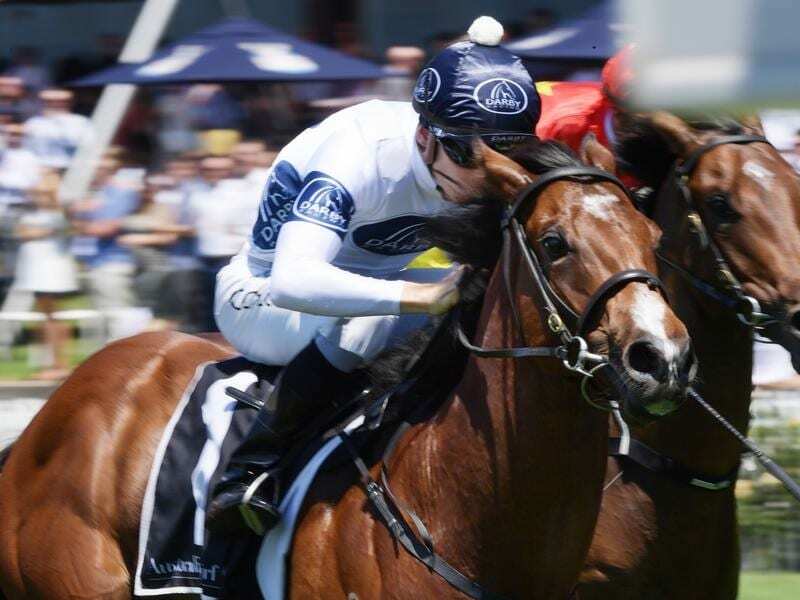 Whether Estrado and/or Roman Wolf is up to a Slipper campaign remains to be seen but their trainer will test them in Saturday’s Two-Year-Old Handicap (1000m). Time To Reign will wait another week for the Lonhro Plate at Warwick Farm after winning a Warwick Farm barrier trial on Tuesday. Unbeaten in two starts, Time To Reign is a half-brother to the Portelli-trained 2017 Slipper winner She Will Reign. Ridden by Tim Clark in the trial, Time To Reign raced outside Exceed The Stars and rallied late to win the 797m-heat by a length. “He is still learning but when he realised what Tim wanted him to do he got going and went to the line as we wanted to see,” Portelli said. Time To Reign has already earned $161,000, enough for a start in the $3.5 million Golden Slipper (1200m) on March 23 with Portelli planning to give him at least two runs beforehand, the Lonhro and the Silver Slipper. Roman Wolf was a winner at Gosford on January 11 while Estrado ran second in her only trial on January 8. “Roman Wolf is by Deep Field and is like his father – he jumps and runs,” Portelli said. “He looked good the other day and is a lovely horse. Portelli also plans to back Nicci’s Gold up in the 1600m race for fillies and mares, a week after her midfield finish at Rosehill. Nicci’s Gold was fifth of 11, half a length from the winner Harmattan, in a 1500m-race after getting blocked for a run in the straight. “She’s pulled up so well she will have no trouble backing up,” Portelli said.